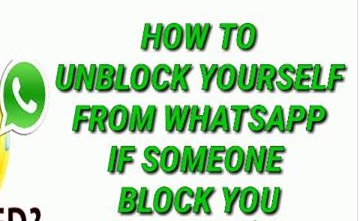 Hello friends, Today i Presenting A Whatsapp Tricks, in this article - "AnyOne Can Unblock Themselves From Whatsapp". Its True & verified That You Can Unblock Yourself From The Whatsapp Contact That Blocked You. Lets Learn i Will Show You The Steps To Unblock Yourself Without Knowing The Person That Blocked You.